There are simplest ways of nail art. Only plain nail polish is not enough, some kind of nail art is required. 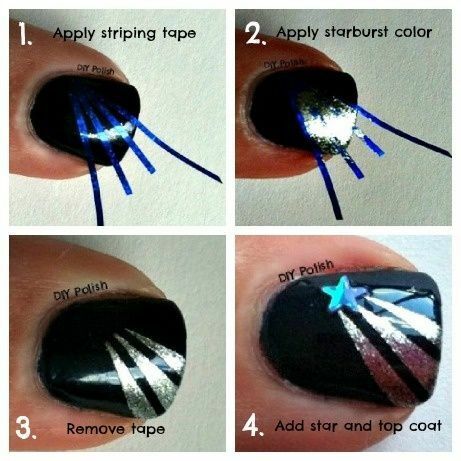 Here is the simplest method of nail art. Everyone can try it easily and instantly. This nail art exists hexagonal patterns and paint splatter on the metallic nail polish. This nail art gives an amazing look to your nails. this nail art you can use in cold season. First, you paint your nails with metallic shiny nail polish. It reminds you snowy night. In this nail art, you have to use more than two nail paints. This is very simple nail art. You can paint your nails instantly. 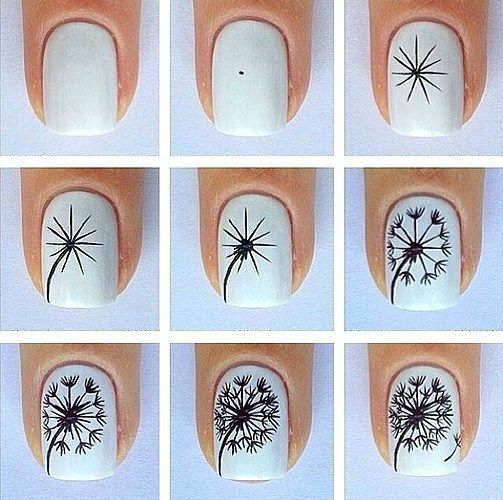 This nail art can be done with a number of shades. You can choose any combination of shades of nail paint. Paint your nail with dark or light shade which you want. 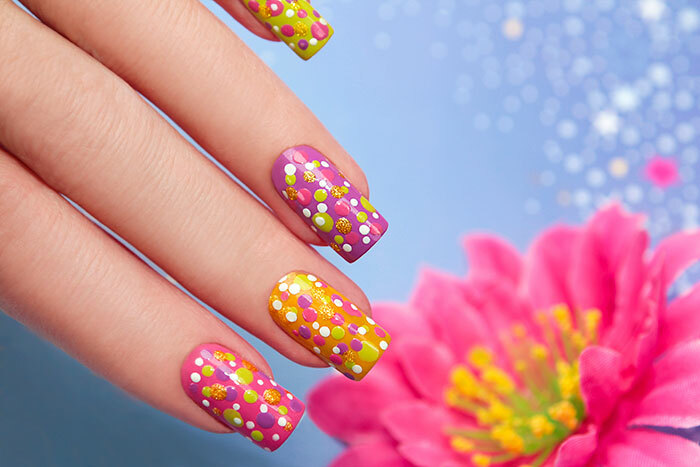 In this nail are used a different color of dots on your nail paint. Also, use different sized dotting tools or toothpick. You can follow the theme for defined look. 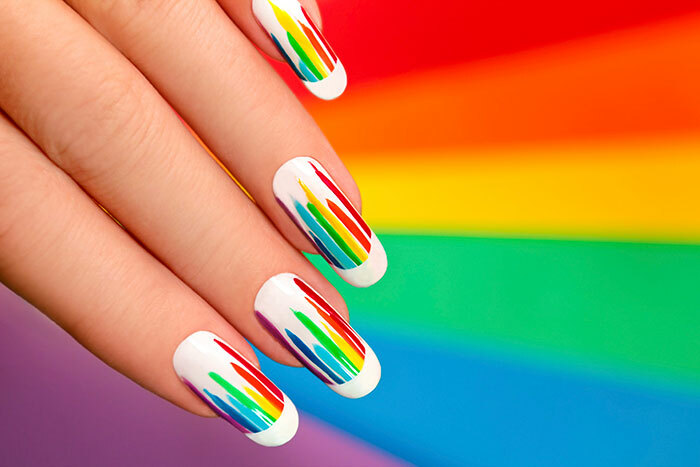 In this nail art, you can add rainbow color. Use white nail polish for the base of the nail paint. After painting of nails, allow to try it. Here use a French tip sticker and also use a fine paint brush or nail striper to create rainbow stripes. Floral nail art is like, you have to create small tiny flowers on the nail bed. This art requires some patience and you have to keep your hand steady. Here most preferably use a white shade of nail polish for create base. Allow it to dry it. Use a fine brush for creating a flower shape. But once you did it, it looks extremely pretty. It is a fancy art. You just try it. This nail art is for them, who want to experiment little more, something different. This is very easiest nail art, which anybody can do it. You have to take too many color shades for painting the nails. You need to take different color for a different finger. You can use gold, silver or blue shade one one hand and pink on another hand.